Jura is one of those island whiskies that still comes with a lot of character, and much like Springbank, some people need to warm up to it. But those who know it will recognize the uniqueness of these ‘dirty’ and coastal elements compared to many modern whiskies. Jura’s 8 metre tall stills are one of the tallest in Scotland, and built with a constricted lantern shape to encourage reflux, yet I doubt anyone would describe Jura as a light whisky. Goes to show stills aren’t everything. Nose: Oh very nice. It’s got a mix of old school oily engines like something you might find in Campbeltown mixed with a bit of earthy medicine, wispy smoke, some soot, some salt and old creaky boats, but also some treacle, leather and candied orange and soft cream brings a softer side. Quite a lush oily weight about it, and the smoke seems to grow. Palate: Actually some savoury herbs to start like some sort of parsley-garlic-sage seasoning to start, then quickly some musk and hot wax, loads of black pepper. There’s a more coastal soot, salt, wet leather and soaked oak side to it. Quite an oily weight too, bouillon savoury and chewy. Getting saltier more herbaceous too. Finish: Medium, oily and meaty, herby salty. A lot of wet wood too. Such character this one. Nose: Thick and oily but rather closed. Quite some earth, dank warehouses and dirty oily engines again, but this one needs water. Right even with water and time it is rather closed, maybe some eucalyptus, and drops of toffee and those dirty-earthy-oily notes, but that’s it. Very odd. Palate: Gingerbread, dried up glue, salt and old earthen floors, some soot. Thick and oily body, but this one is indeed very reserved. And again getting much saltier in a few moments, along with more wet earth, a ton of wet ropes but that’s about it. Finish: Medium short, quite salty, wet hemp and that dirty oiliness. 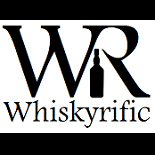 This entry was posted on June 17, 2018 by Whiskyrific in Isle of Jura and tagged Isle of Jura, Jura.